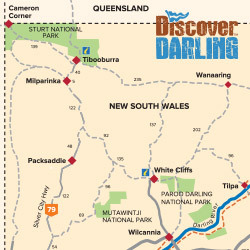 The biggest loop for the Darling River Run is the Sturt’s Loop which takes in Corner Country including Milparinka, Tibooburra, Mt Wood, and Wanaaring. 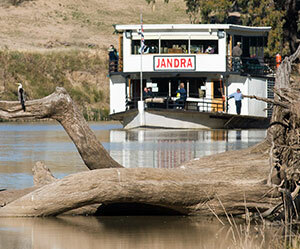 Broken Hill or Bourke is the start or finish of this adventure and provides a great alternative and contrast to the Darling River Run. Please note part of this tour is on dry-weather roads. Please check the road conditions before travelling. Quirky attractions abound at this famous intersection point of Queensland, New South Wales and South Australia, like the chance to stand in three different time zones at once. Cameron Corner is also the junction of the wild dog fence. Milparinka was once a substantial township with four hotels, a bank, shops, a library, a newspaper office, police station and courthouse, a Cobb and Co office, school and post office. Today the town’s bustle is long gone, although four of the most significant buildings have been carefully restored as part of an award-winning heritage precinct. 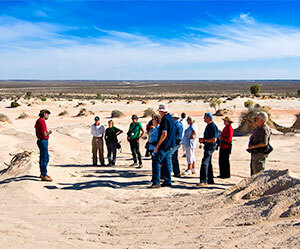 Tibooburra is an Indigenous word for ‘heaps of rocks’ and the area’s original inhabitants still have a presence in the area’s rich Aboriginal history. 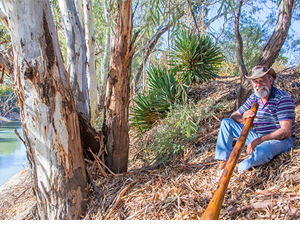 Call into the Land Council’s Keeping Place Museum of Aboriginal artefacts. Fossick for gold and visit the Family Hotel to see paintings by famous Australian artists, Clifton Pugh and Russell Drysdale. Visit the Courthouse Museum and the Tibooburra Outback School of the Air – the most geographically isolated school in New South Wales. Bourke to Tibooburra is 417km or about 5 hours. 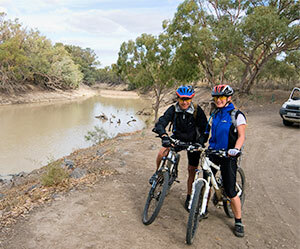 Tibooburra to White Cliffs is 265km so you can rejoin the Darling River Run at Wilcannia or Tilpa. Broken Hill to Tibooburra is 335km or about 4 hours.